VMware have announced updates to their vCloud Suite product. 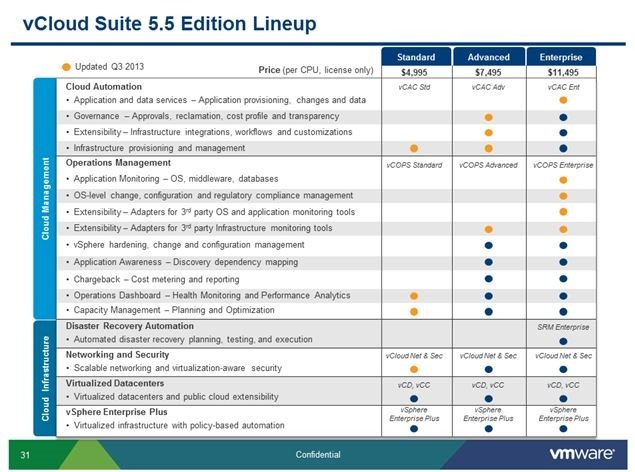 VMware have extended the number of products that are included in the vCloud Suite 5.5, this includes vCloud Automation Center (vCAC) availability in all editions rather than just the Enterprise Suite. Prior to this announcement vCloud Automation Center came in a single version, however the announcement let’s us know that we now have Standard, Advanced and Enterprise versions available. vCloud Automation Center – Standard Edition offers the basic self service portal feature of vCAC. 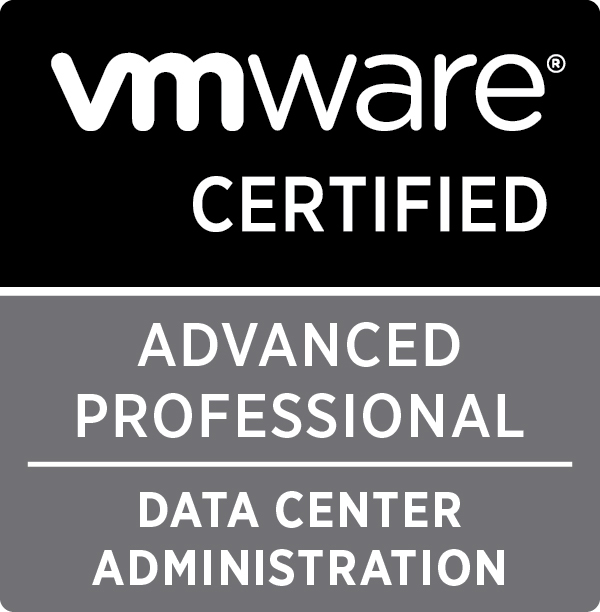 vCloud Automation Center – Advanced Edition offers the same functionality as the existing vCAC product. vCloud Automation Center – Enterprise Edition offers full vCAC functionality plus vFabric App Director for Release Automation. vCloud Director and vCloud Networking and Security are not sold as standalone products anymore. All editions of the vCloud Suite now include automation features (offered by vCAC) and Operations Management (using vCOPS). 833 days, 19 hrs and 38 min.